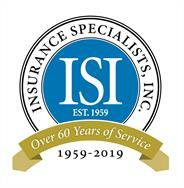 Professional Insurance Administrator | Insurance Specialists, Inc.
At Insurance Specialists, Inc., we market and administrate insurance programs for the members of professional associations. We have been providing the dependable products that you deserve for nearly 60 years. For 60 years, our diversified insurance administration has been dedicated to the professional Association insurance industry nationwide. We provide accurate, consistent and dependable products while remaining mindful that our clients command the highest level of professional and business services. It is our mission to offer the most competitive rates for insurance products. In order to do so, we maintain continuity of coverage and consistency of service. As such, our exceptional team is dedicated to understanding the needs of professionals and business owners, as well as the importance of insurance to their practice or company. We maintain long-term and outstanding relationships with each Association we serve. As a direct result of these relationships, we are enabled to offer value-added insurance benefits and service for Members. When you choose to enlist our supportive assistance, we will simplify the insurance process by offering underwritten plans by top-rated carriers.